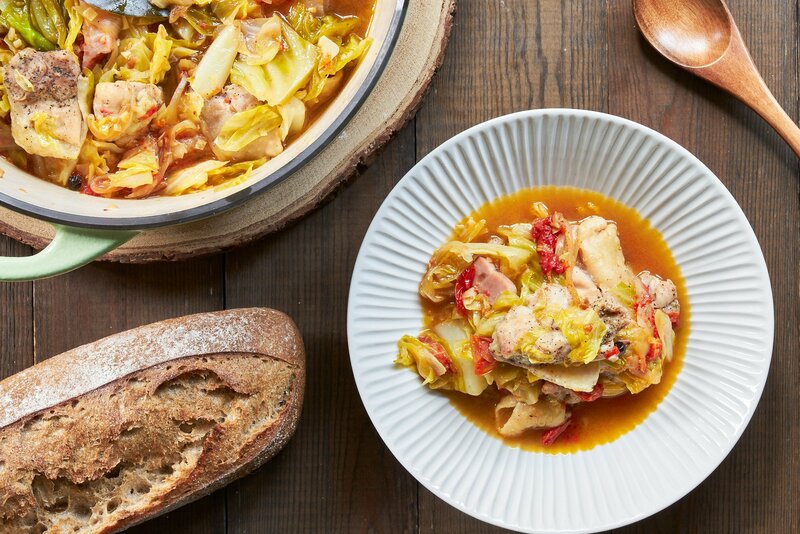 With big juicy chunks of chicken and melt-in-your-mouth sweet cabbage in a garlicky bacon-enriched white wine broth, this soul-warming Cabbage and Chicken Stew is the perfect one-pot meal for a wintry weeknight meal. I feel like I say this a lot, but some of my best creations have come about when my refrigerator was running on empty. I first made a version of this a few weeks ago when Tokyo was buried under 10 inches of snow. For a city that is ill-prepared for any amount of snow, this may as well have been snowmageddon. Having lived for a few years in Sapporo (a stone’s throw from Siberia), I can deal with the cold, but with cars, bicycles, and people slipping and sliding all over the neighborhood it just didn’t seem like a good idea to venture outside. The inspiration for this easy chicken stew came when I opened the fridge, and it was uncharacteristically empty. There was a small pack of 4 chicken wings, a yellowing half head of cabbage, a dried out heel of bacon, and some cherry tomatoes and garlic cloves rolling around the bottom of my vacant vegetable drawer. It wasn’t much to work with, but I thought I could bulk up the chicken by teaming it between layers of cabbage. Because there was so little chicken I wanted to use it more as a seasoning, so I started by generously salting the chicken. The goal was to quickly cure the wings so that their juices would baste the cabbage with flavor as they cooked. The bacon came as an afterthought, and I decided to saute it with some garlic, onions and cherry tomatoes to create a foundation of Maillard reaction induced umami. This was topped off with a layer of cabbage, the chicken wings, and finally another layer of cabbage. Because of the way I constructed it, I was a little worried that it would come out a jumble of random components with nothing tying it all together, but I set the timer and hoped for the best. Twenty minutes later, I opened the lid my fears evaporated along with the fragrant steam rising from the pot. 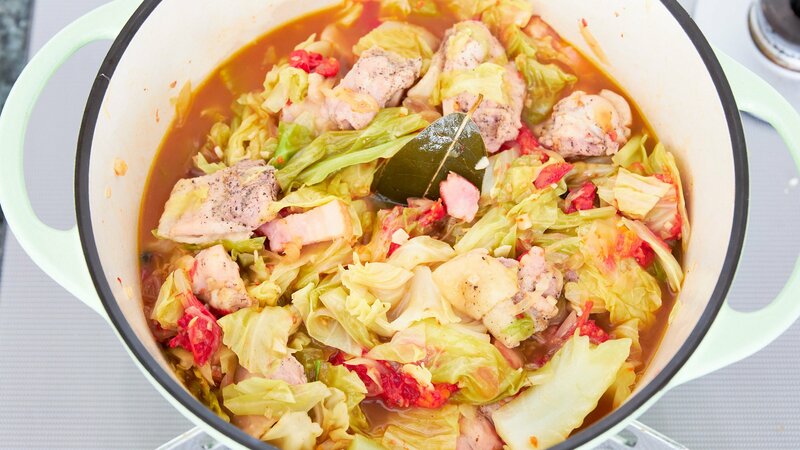 My steamed chicken had turned into a cabbage and chicken stew! 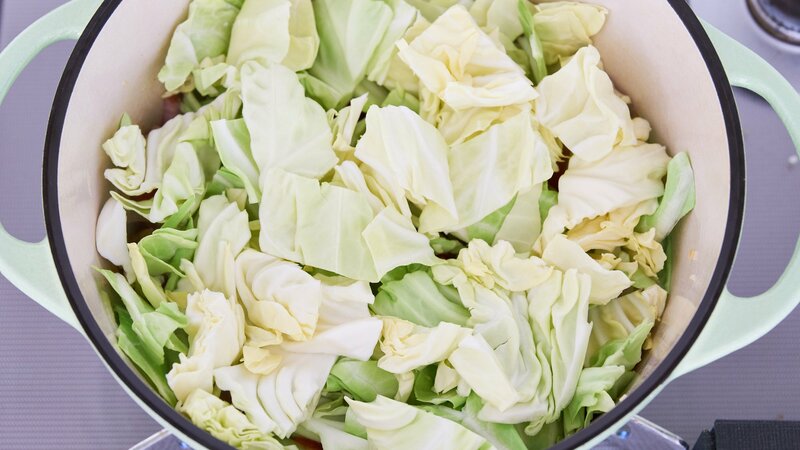 Although I’d added less than 1/2 cup of sake to the pot, the chicken, tomatoes, and cabbage released some of their ultra-flavorful juices as they cooked, creating a sweet umami-filled broth. The chicken was juicy and tender thanks to the indirect heat, and the vegetables were rich, creamy and comforting. It was so good and easy and that I ended up making it a few more times over the ensuing weeks, which is why I decided to share this with you today. Although I used chicken wings initially, chicken thighs have a bit more substance, so I recommend using them instead. 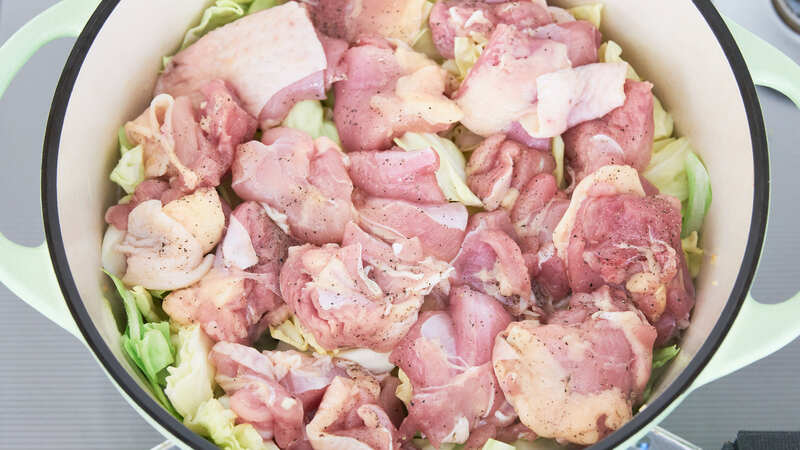 If you’re not a thigh person, you could use breast meat, but they will almost certainly end up dry as the cooking time for this stew will take them well beyond the ideal temperature for white meat. I’ve also done a plant-based version of this with shiitake mushrooms which was very good as well. It’s important to add a bit of liquid at the beginning to get the vegetables to release their juices before they start burning. I used sake the first time I made this, but any flavorful liquid such as white wine, chicken stock or vegetable stock will work. If you want to make this more of a braise, you can reduce the amount of liquid to 1/4 cup, though you’ll need to be careful with the heat so that it doesn’t burn. 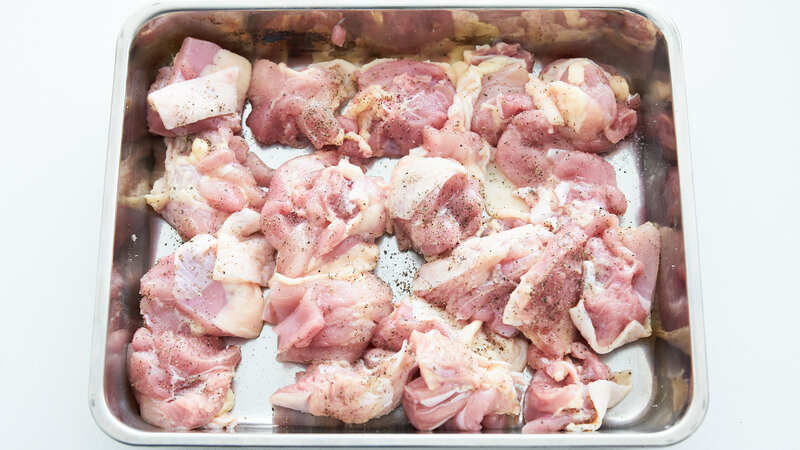 Cut the chicken into bite-size pieces and sprinkle evenly with the salt and pepper. Set aside while you prepare the other ingredients. 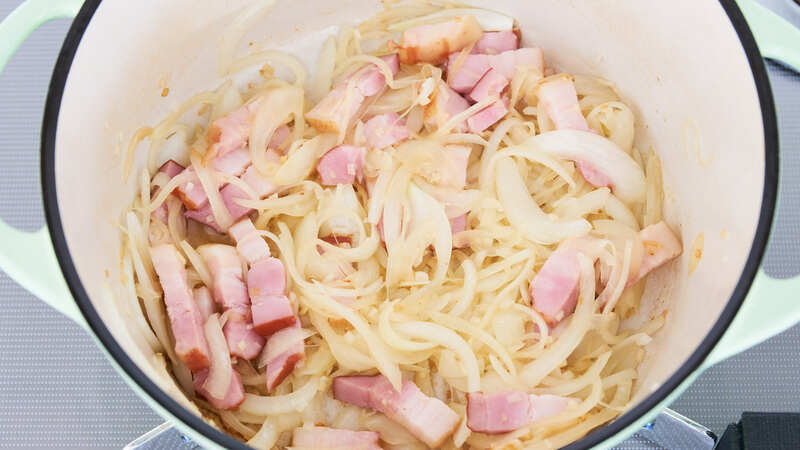 Put the bacon in a dutch oven over medium heat and fry until some fat begins to render out (you do not need to crisp the bacon). Add the garlic and onions and saute until the onions are soft and the garlic starts to brown. 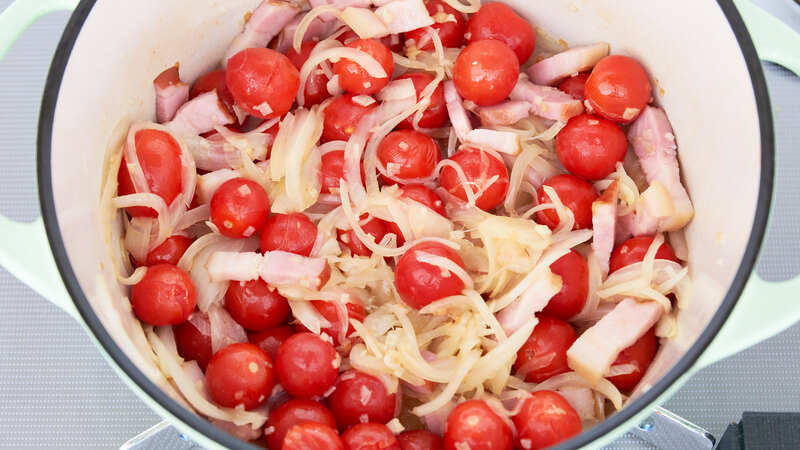 Add the tomatoes, bay leaves, and juniper berries and stir to distribute evenly. Add half the cabbage in a flat layer. 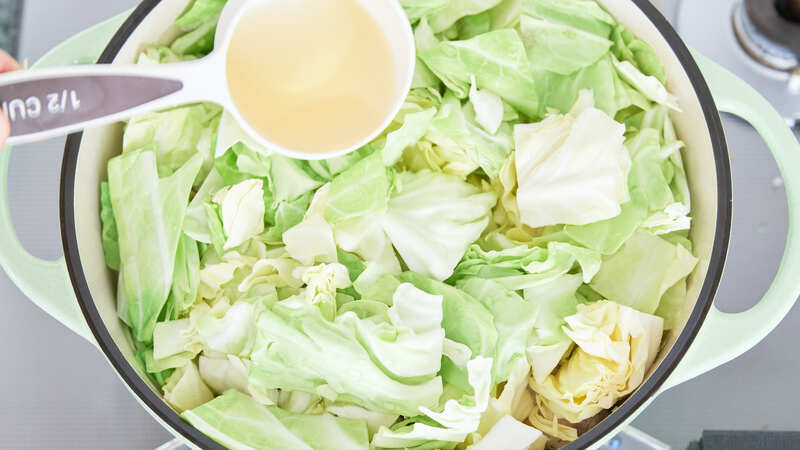 Top with the remaining cabbage and drizzle the wine over the cabbage. 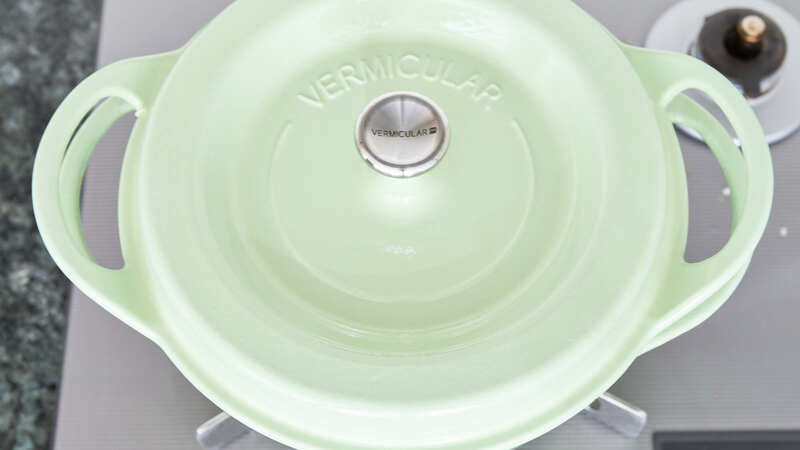 Cover securely with a lid and bring to a boil, and then reduce the heat to low. Gently simmer until the chicken is tender (about 20 minutes). Remove the lid and stir to evenly distribute all the components, taste it and add salt and pepper as needed. 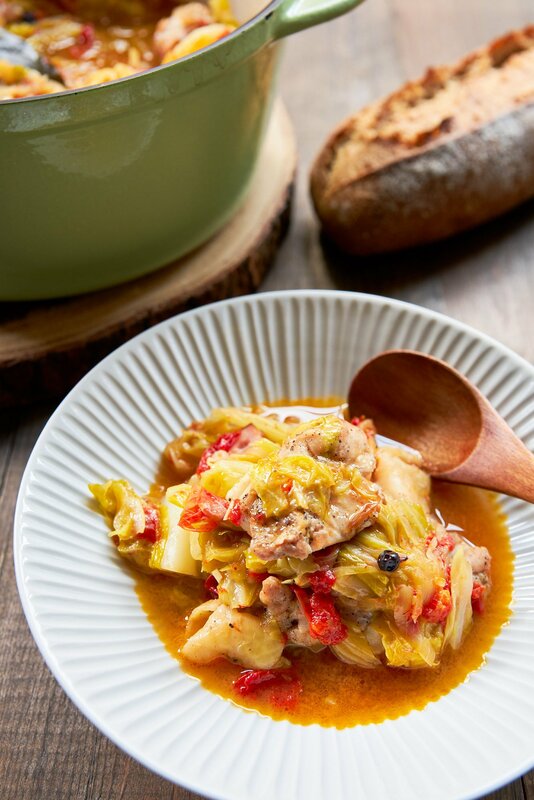 Serve the chicken stew with crusty bread.